We’re on Patreon! Patreon is a simple way for you to contribute to our mods and support us on our journey. Thanks to all that pledged! This mod adds the new item fishing net that can be thrown at enemies (and friends), can be placed in the water to catch fish and more! It is possible to apply some baits to the placed nets: right click them with fishmeal to attract fishes. Nets are 16% faster with 1 application, 33% with 2, and 50% with 3, that is they take half time to get full. Fishmeal can be obtained by cooking cooked fish, cooked salmon, pufferfish or clownfish in the furnace. I love that you can throw these. Thanks for adding an unexpected bit of fun into minecraft. I like this mod. I use it to the 1.11.2. I was hoping this mod would allow me to replace my AFK fish farm with something a little more immersive. And it has! For anyone else with the same questions as me, here are the answers. 1. Yes, you can get enchanted books with this! Anything you could get in a vanilla fishing rod, you can get in these nets. 2. Yes, you can automate them! Pistons will break the net, and dispensers will throw it. 3. No, they don't work with hoppers. I'm fine with this, honestly, as the break-and-replace logic makes for a more interesting automation problem. 4. No, they don't work with comparators. At least, I think they don't. Comparators normally work with a one-block wall between themselves and the inventory they're reading from, but that doesn't work here. I couldn't test with a comparator right next to the net because then the comparator would be underwater. 4. No, you can't automate the bait. Dispensers don't place it, and they don't accept it automatically if it's dropped on top. Comparator support would be nice, but otherwise I have to say this is a great balanced replacement for AFK fishing. You can also use minetweaker to edit the recipe for your modpack. Please Please Please Change the recipe. It conflicts with Mo Creatures Wool Ball, And Id rather have a net than a wool ball. I have already deleted this mod from both the client and the server, but when the recipe book is opened, the client crashes. is this compatible with Just A Few Fish? 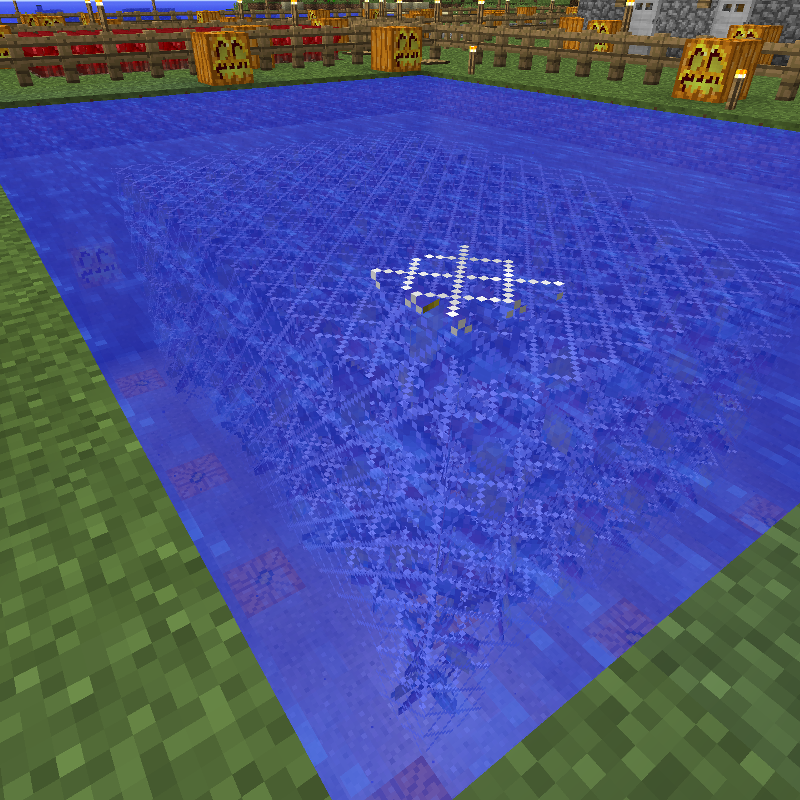 On the server SpongeForge 1.12.2, the fishing net can not be destroyed. I ask to correct this problem. There is a bug on the SpongeForge server, the network is duplicated if it is broken. In a single mode, this problem does not appear. Can you somehow improve the compatibility with the server? Check on the server without Sponge is not possible. In this case, it does not respond to the connection. First good automated fishing farm for 1.12! And now fishing nets are compatible with hoppers! And we have a russian translation! I translated your mod into Russian. Link. Mobile mobs will free themselves when catched with the net. But I gain a little time before getting attacked again. But the fishing really works great! Make a net which is a little more expensive and which works with hoppers. The hopper underneath would pull out the catched items. This would allow to build auto-fishing farms. The recipe could be the same as the normal net with a chest in the middle.